Some time ago I wrote about how you can manage your dependencies with nuget. What I left out is how you configure Visual Studio to not check in the packages but to restore them during build on the CI server. To disable source control integration in Visual Studio you have to add a nuget.config to your solution folder. In the file set disableSourceControlIntegration for the solution element to true. If you use TFSVC you also have to add a file with the name .tfignore add solution level to source control if it does not yet exist. Add a line with \packages to the file. Now you can delete the packages folder from source control. 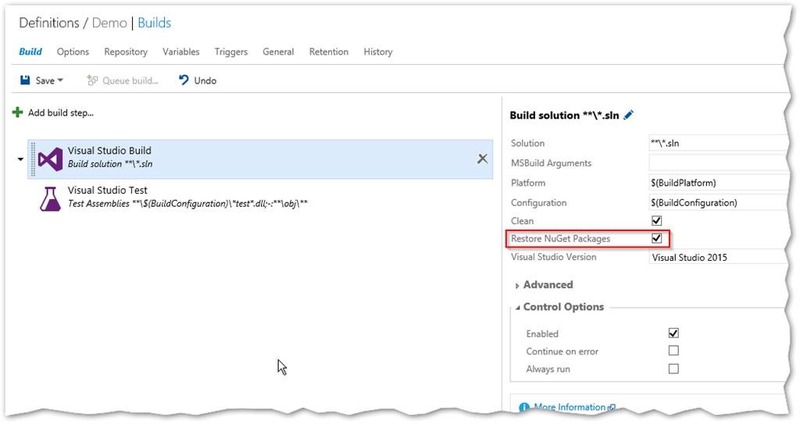 New packages will not added by Visual Studio and VS will automatically restore them for you. If your build server is behind a proxy you can configure the proxy in the nuget.config file. To enable the build server to find all your packages you have to specify the package sources. Be extremely careful to specify the URL to nuget.org corectly! There is a lot of documentation out there that does not work any more. If your URI points to the V3 API you also have to specify protocolVersion=”3”. Check the URL in your Visual Studio Settings in case this changes with a future update. In your build you don’t need the “NuGet Installer” task. 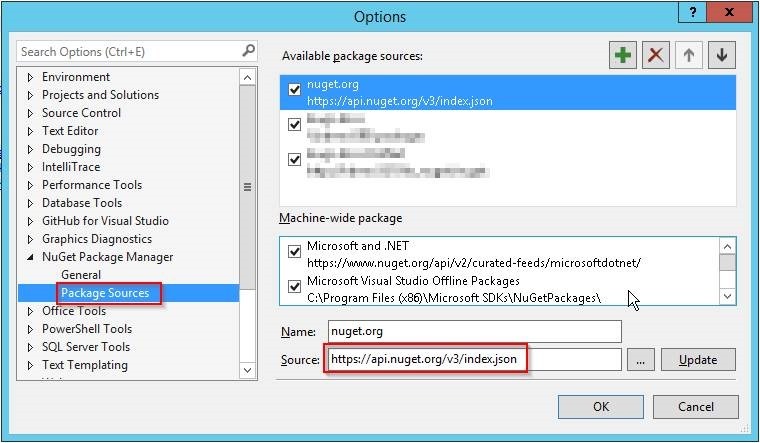 It is sufficient to check the “Restore NuGet Packages” check box for your build task – even if you have custom packages sources. If you have problems with restoring packages on the build server – it is really hard to get a verbose output. The best thing you can do is to download the latest nuget.exe and add it to your source control. Then use the NuGet Installer task and specify the path to the exe. Add “-Verbosity detailed” to the NuGet Arguments. This gave me a detailed output of the API calls that are performed by nuget.exe that helped me troubleshooting. I have no idea why this does not work with the default nuget.exe. I think this is the default now. You don’t have to do it manually now. But no – this was not a hoax. I did it in a lot of projects. You might be right that this is done automatically for TFVC now. I think I’m gonna remove those .nuget/nuget.config files when migrating all our project from TFVC to GIT. Yes – I only use it if I have custom feeds or a proxy server… I f not you can remove them all.